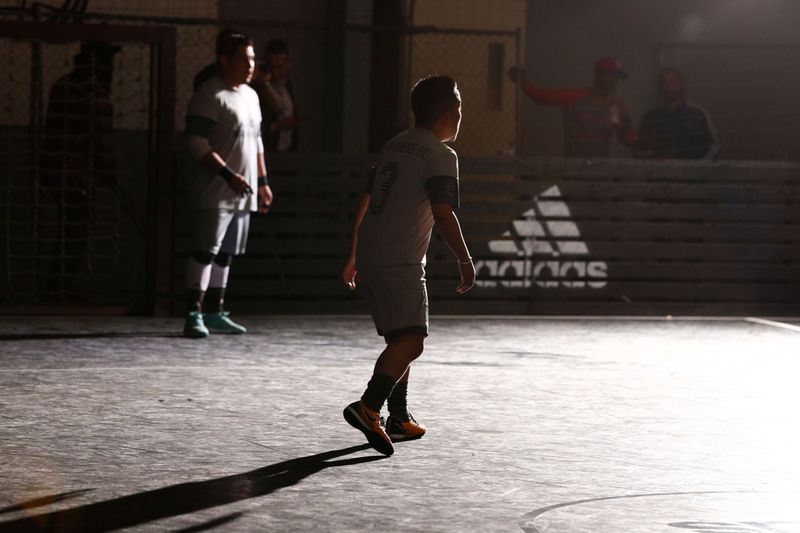 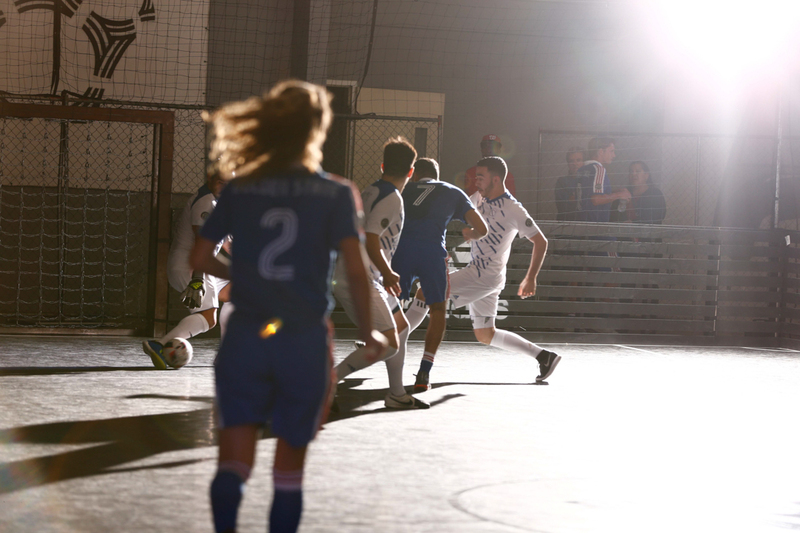 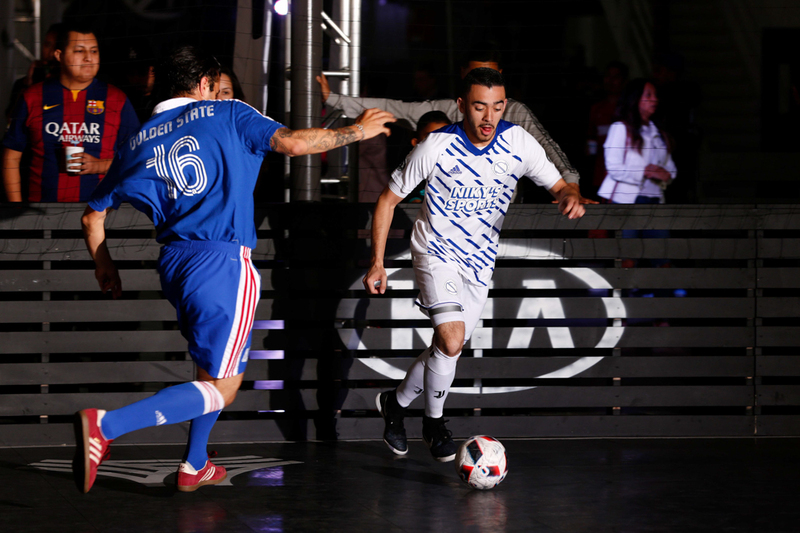 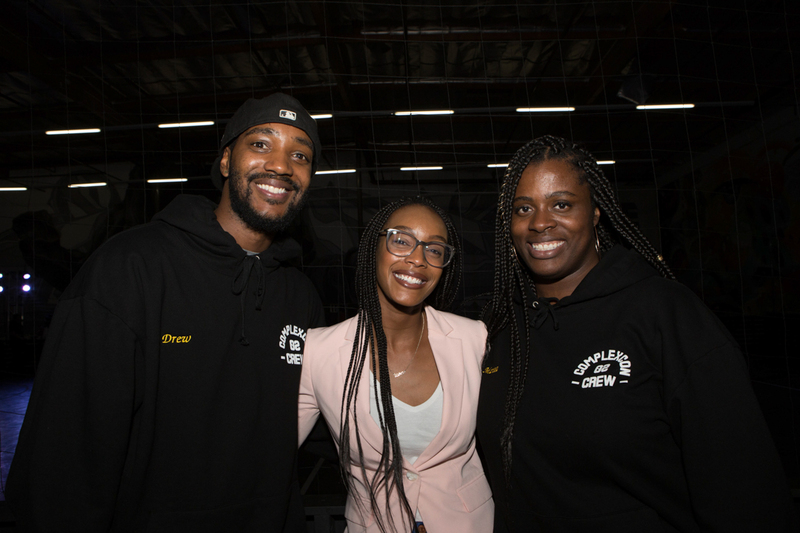 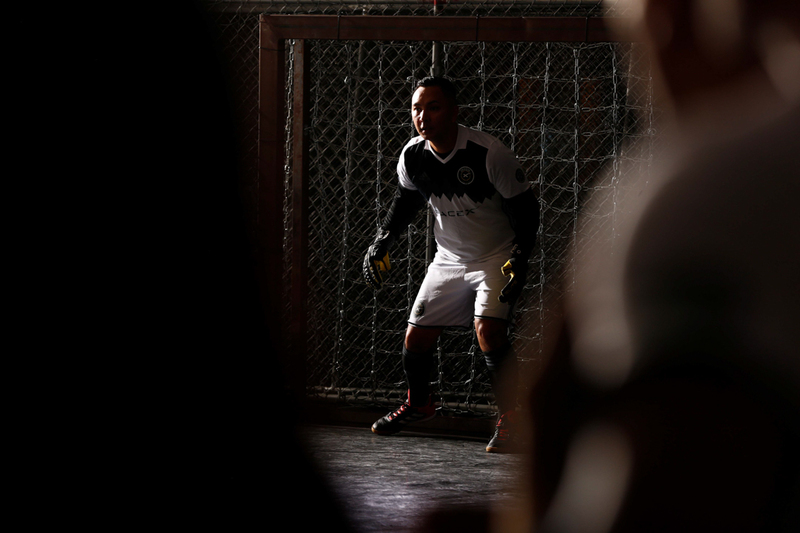 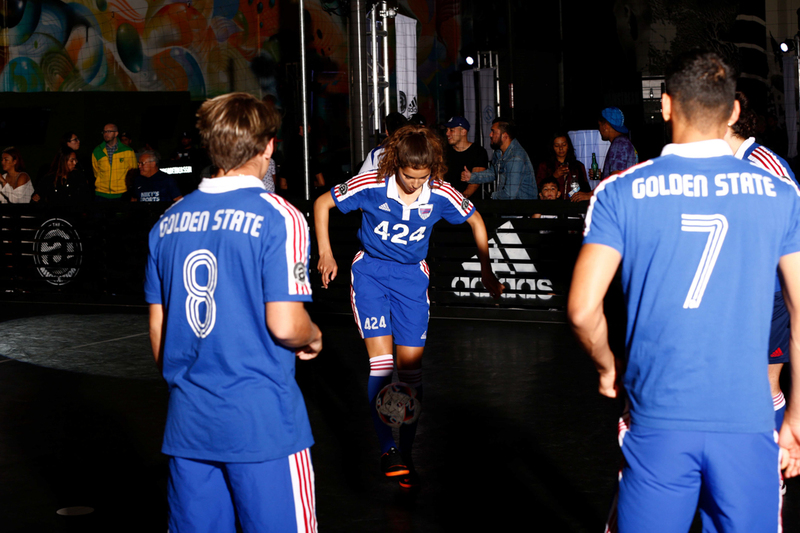 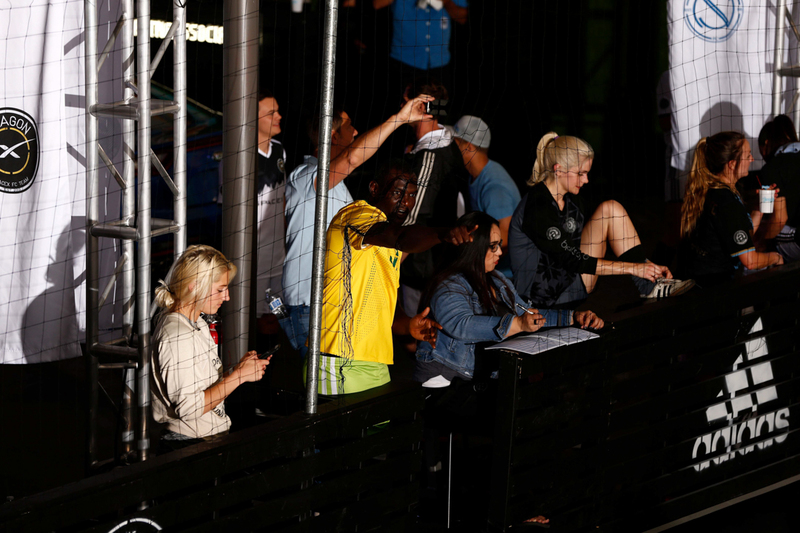 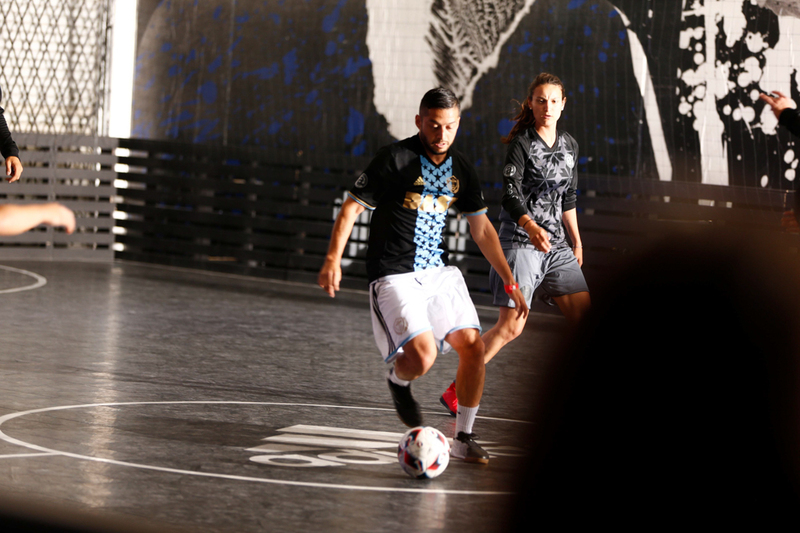 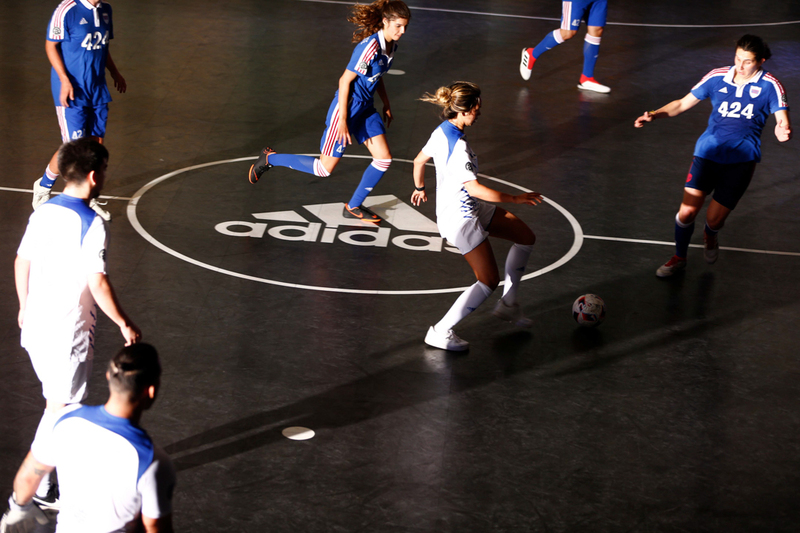 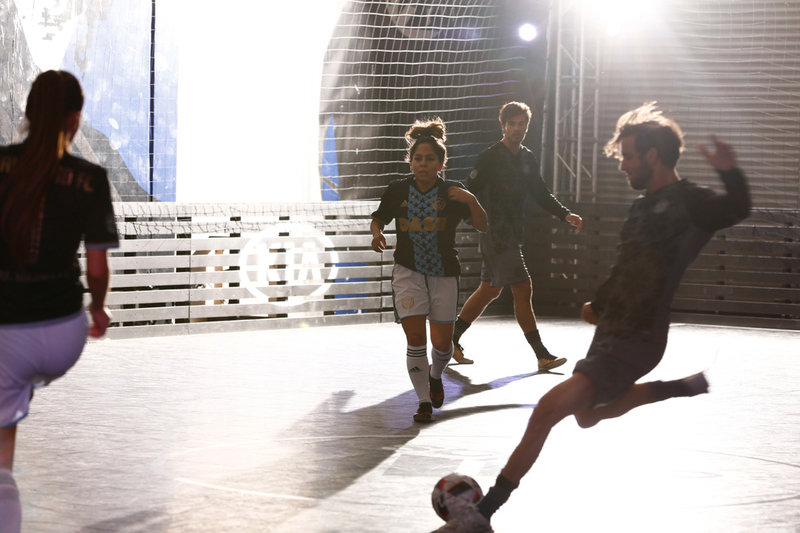 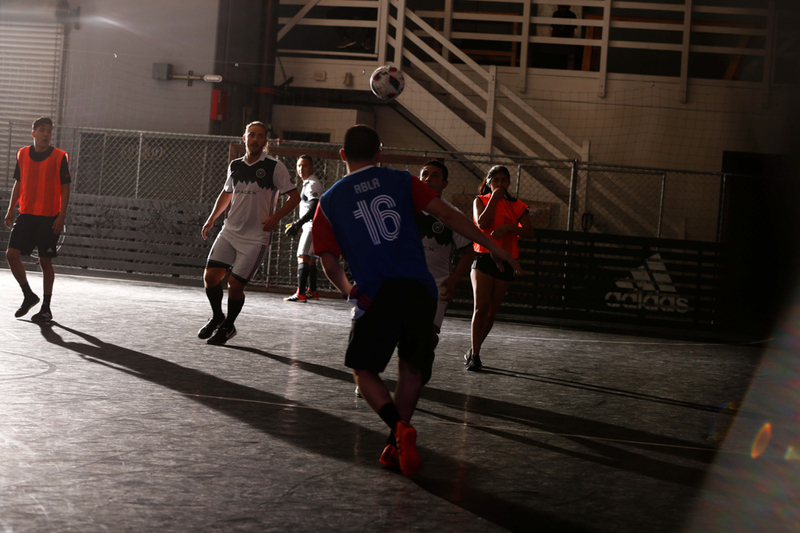 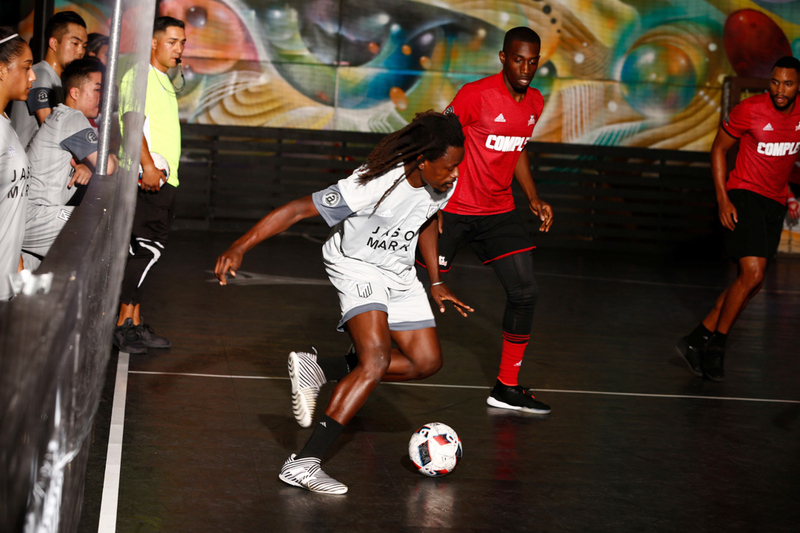 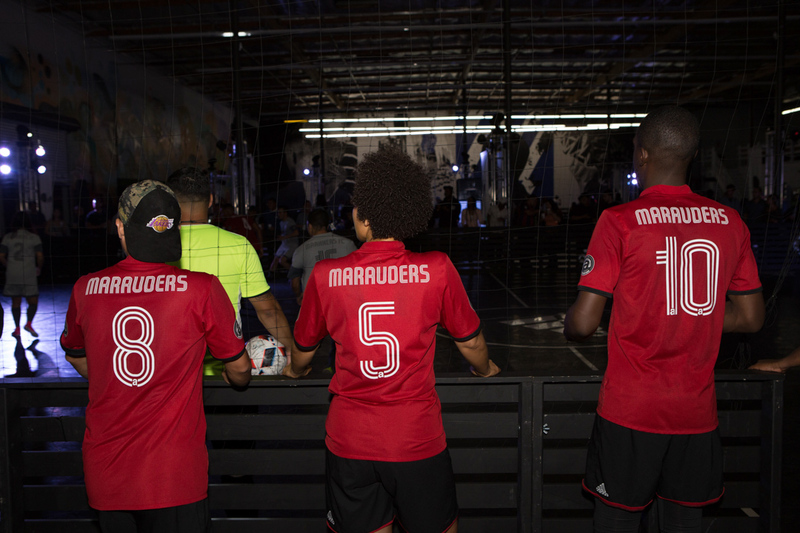 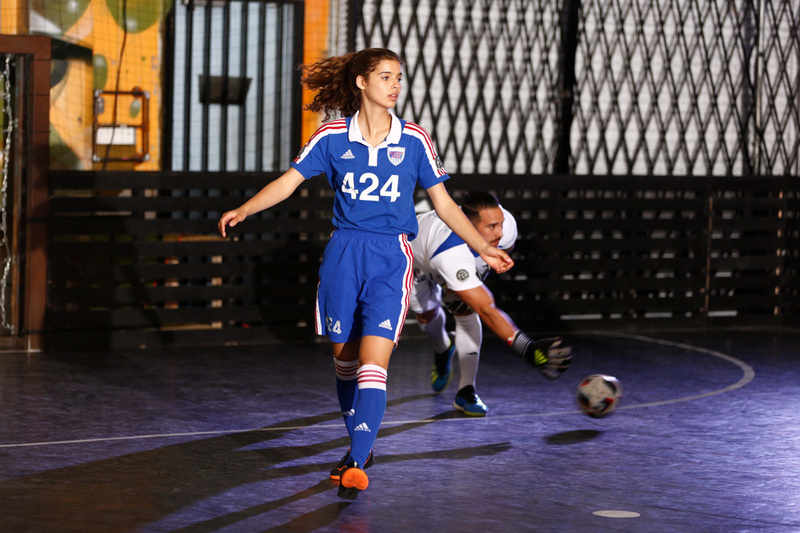 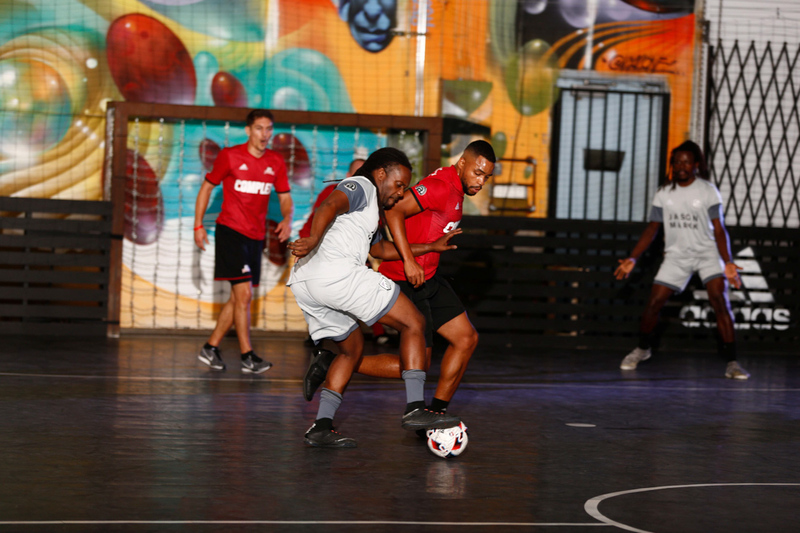 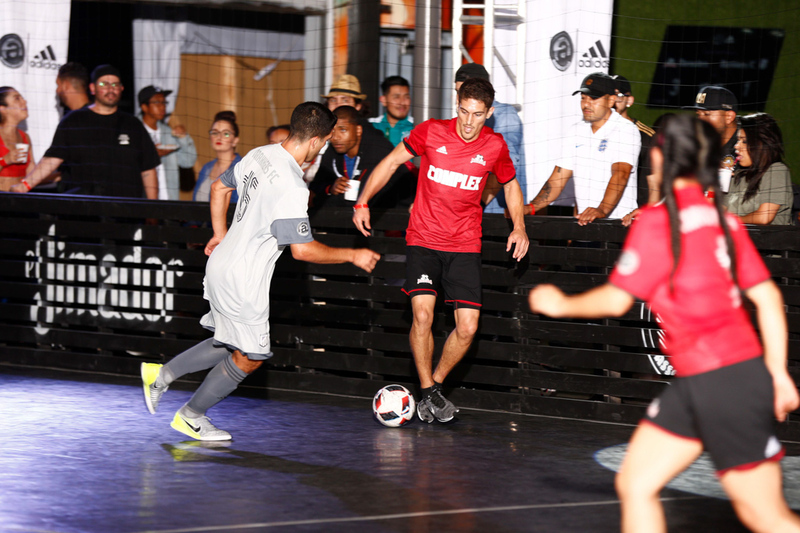 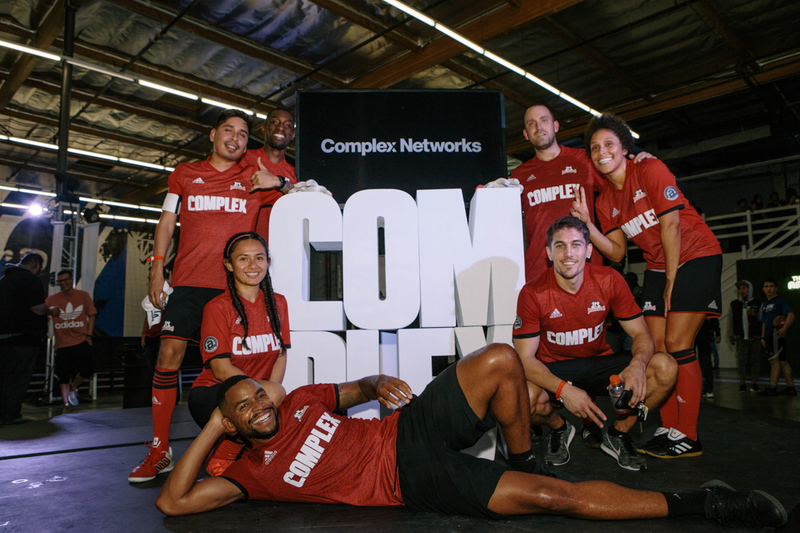 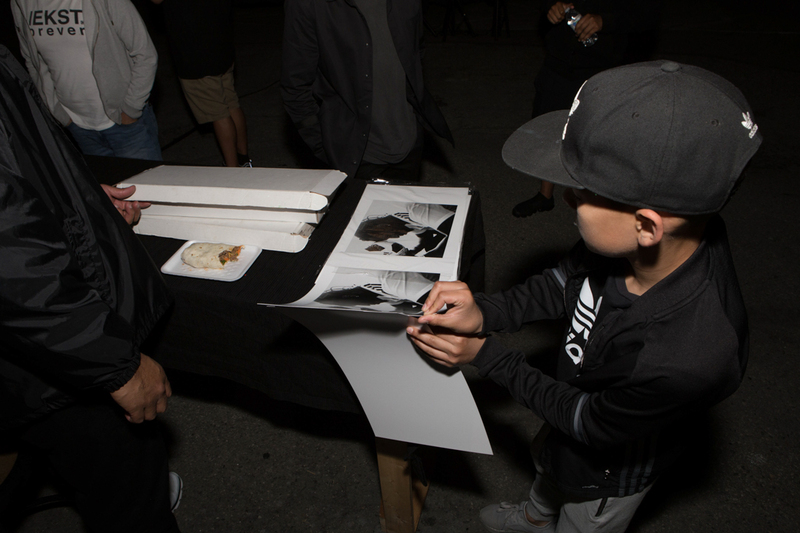 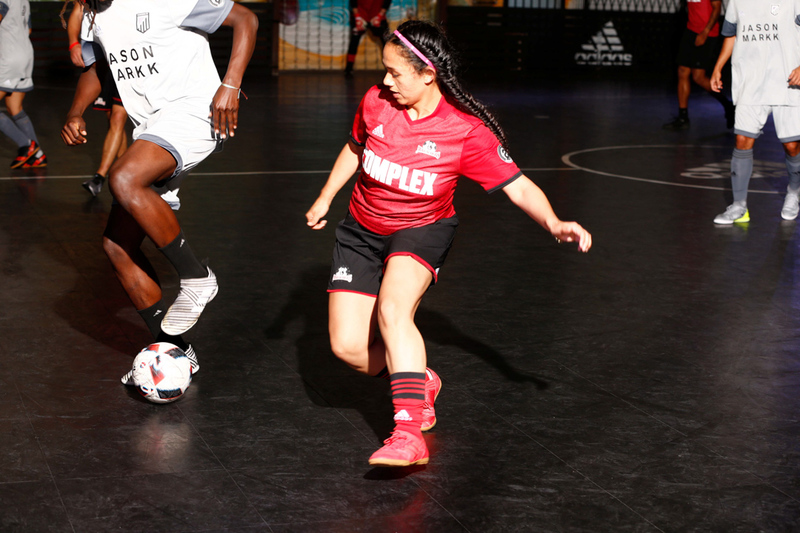 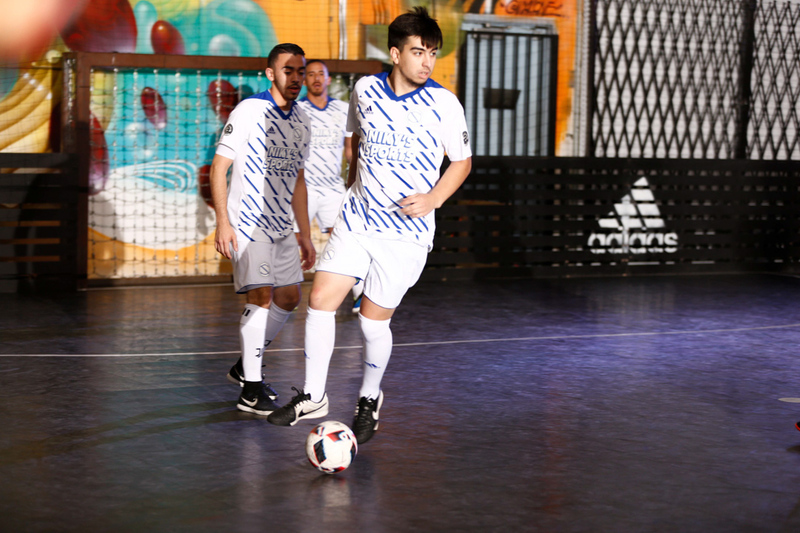 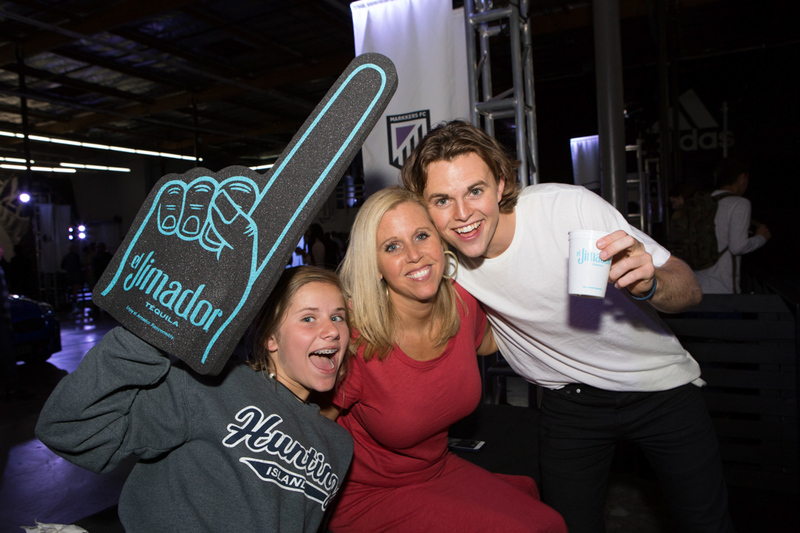 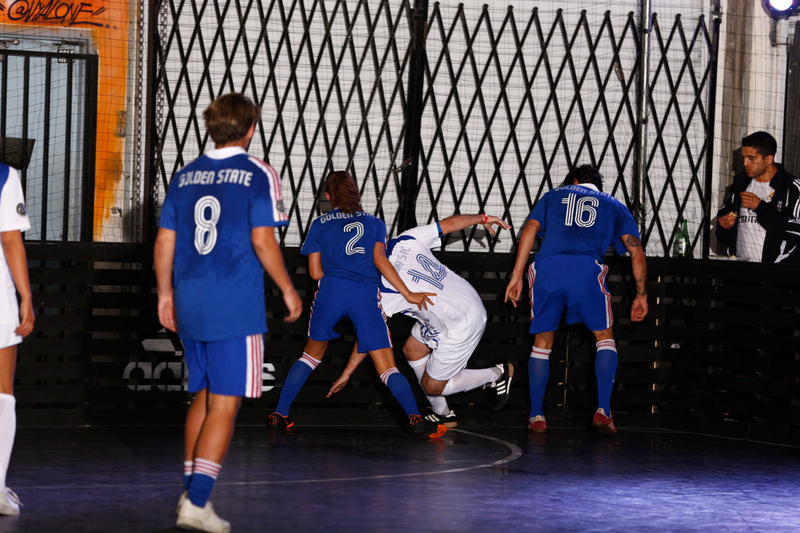 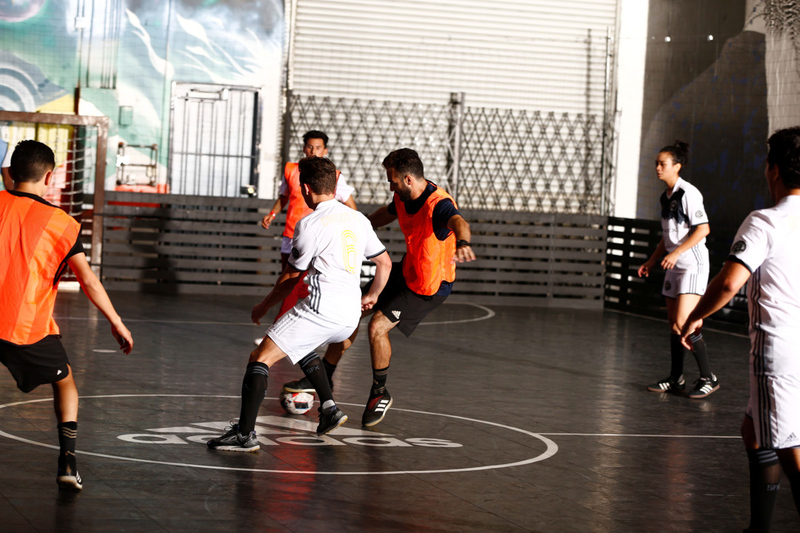 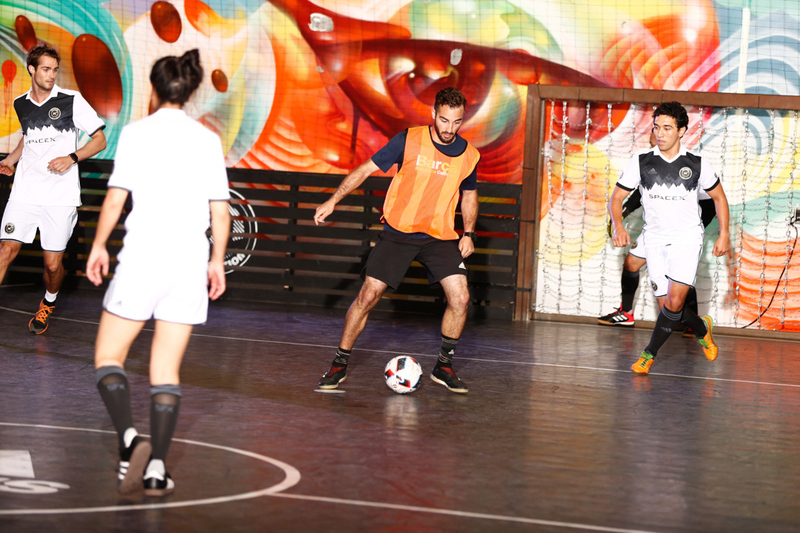 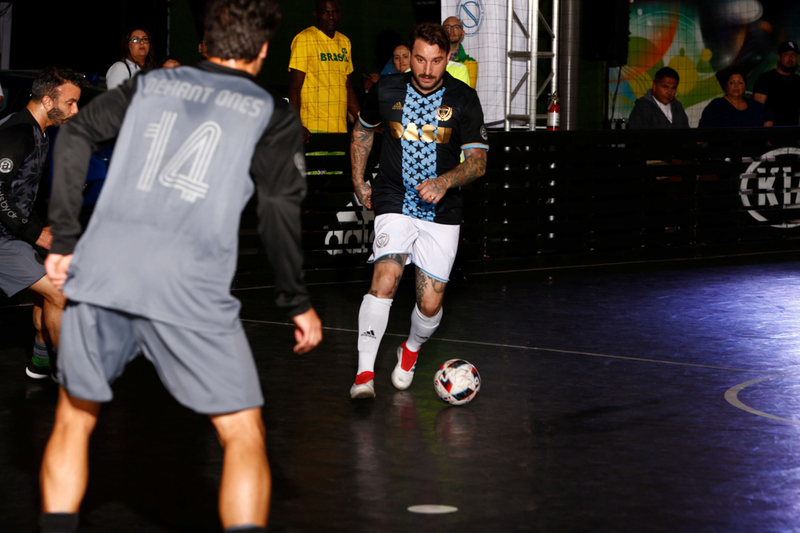 This past Thursday saw Part 7 of The Association, our ongoing soccer league held at adidas’ The Base in Los Angeles. 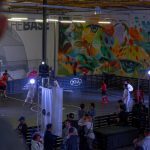 If you’re unfamiliar with the event, The Association is an ongoing soccer league that sees eight teams duke it out for the title of top soccer dog – there’s a more prestigious title than that of course, along with an amazing-looking trophy designed courtesy of living street art legend OG Slick. 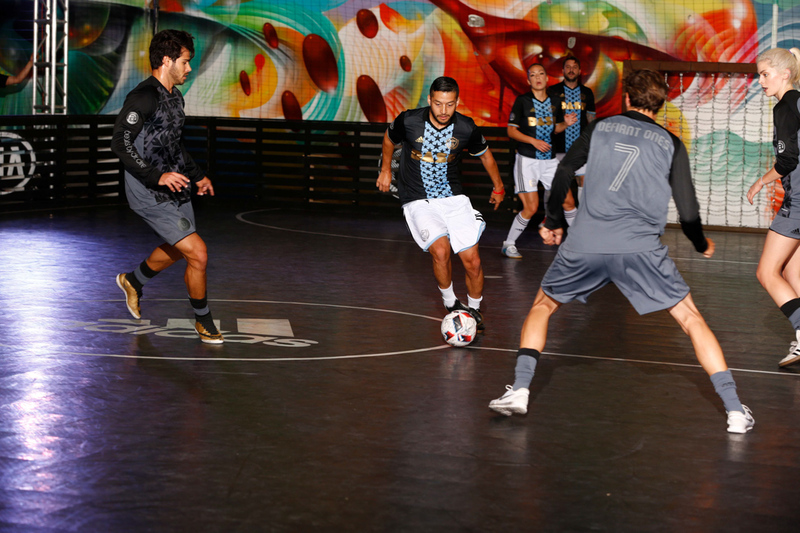 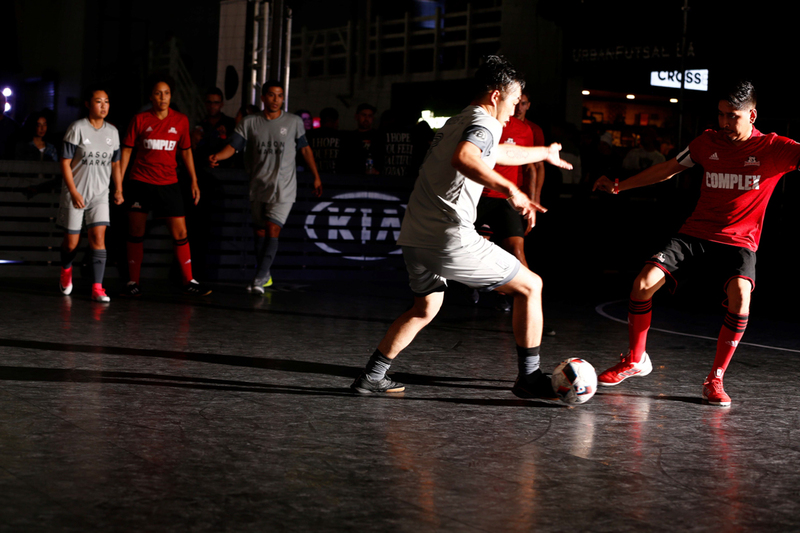 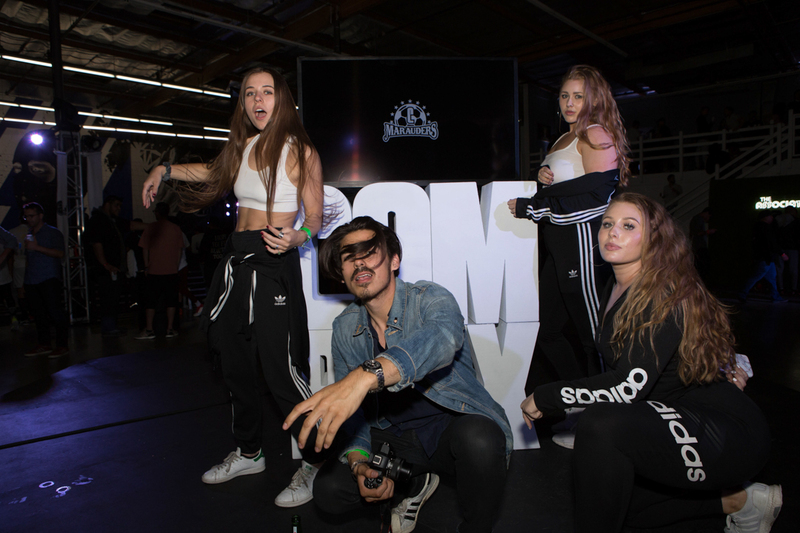 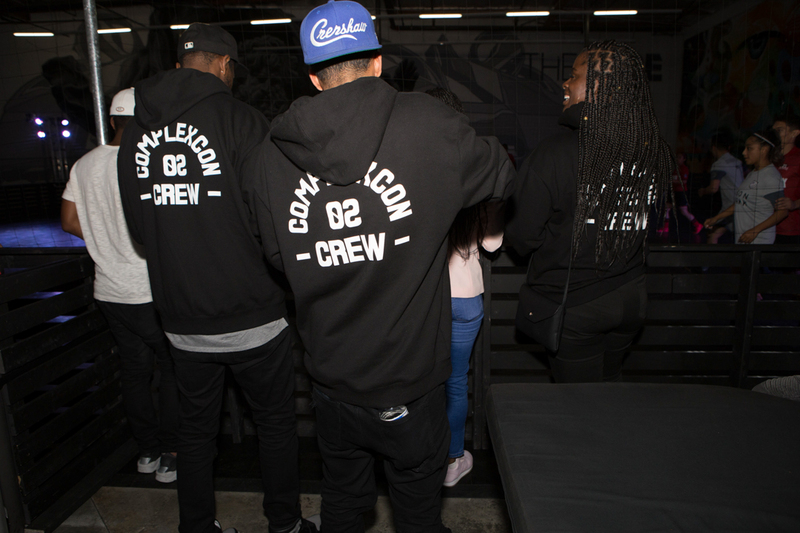 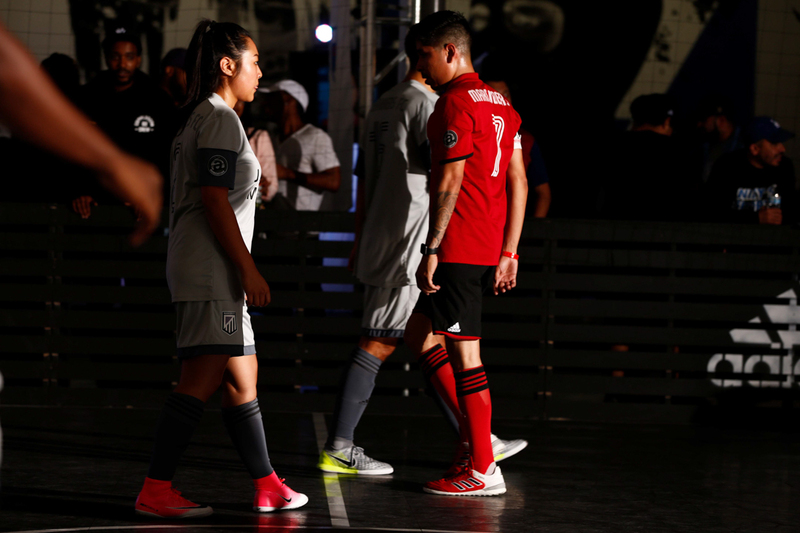 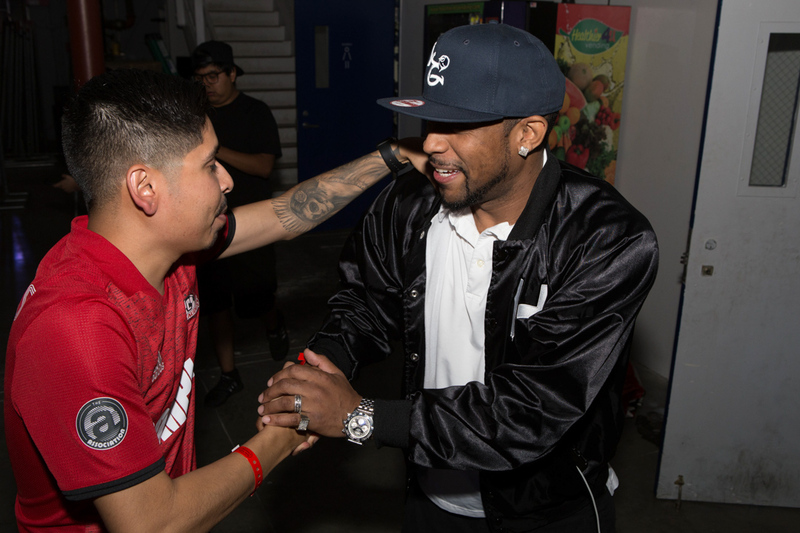 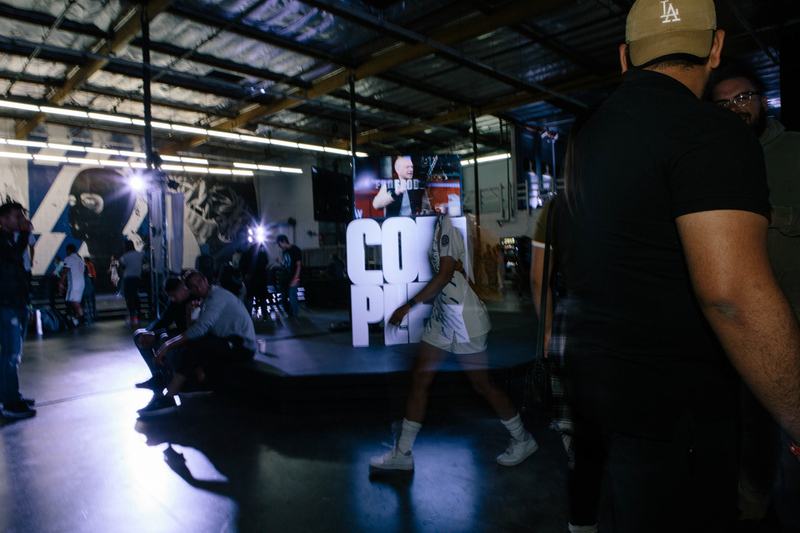 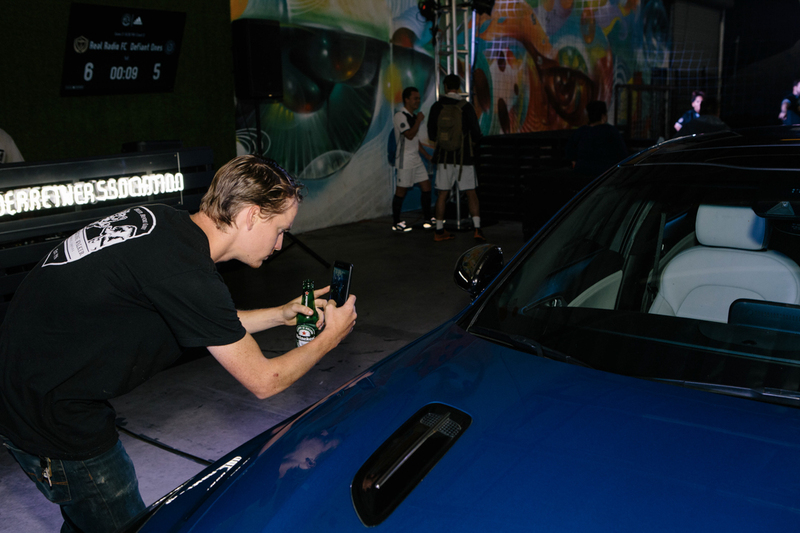 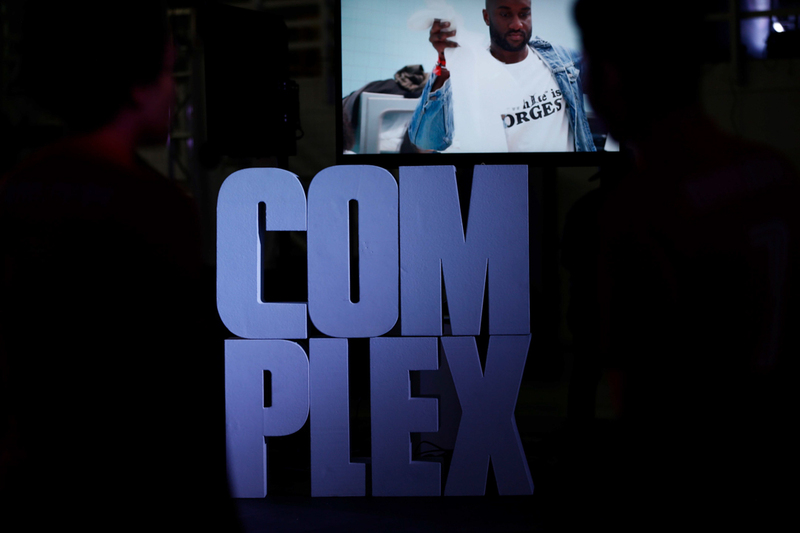 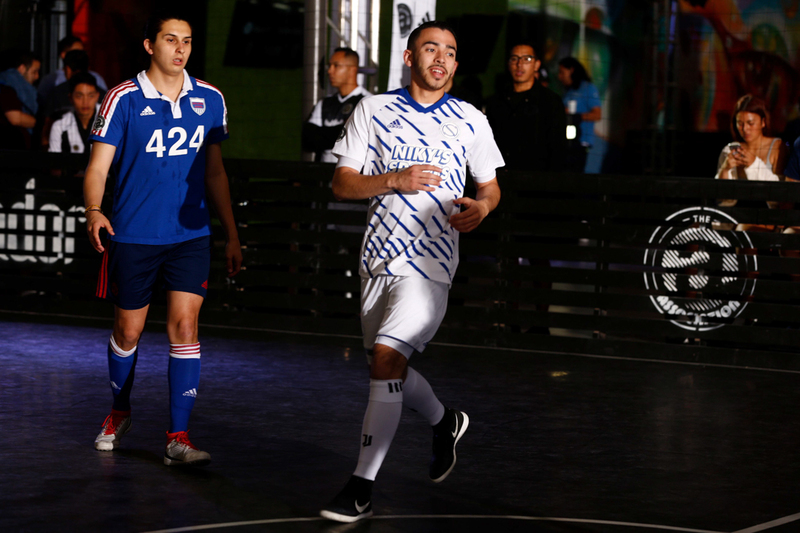 The participating teams include members from companies and brands Beats by Dre, Complex, Dash Radio, FourTwoFour on Fairfax, Jason Markk, Niky’s Spots, Red Bull, and SpaceX, each with their own FC made specifically for The Association. 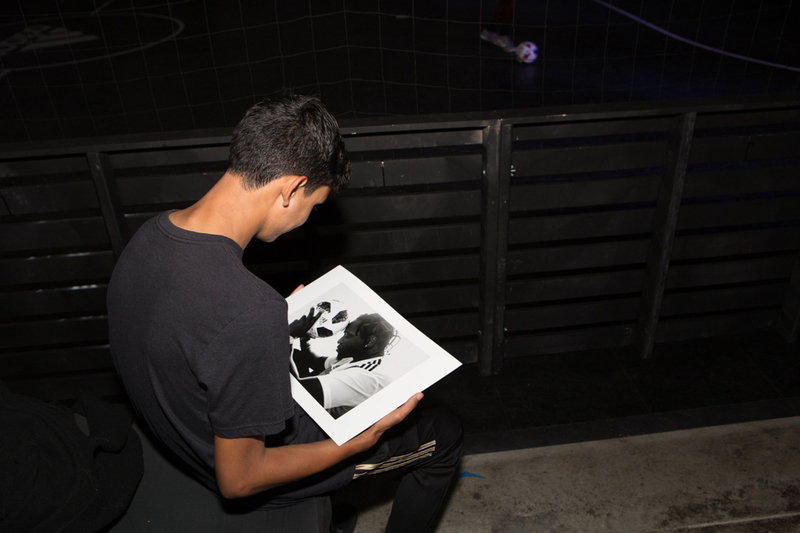 Each night hosts a curated display by either one of the eight participating teams, or by a guest curator, offering a unique display into their world that lives as the centerpiece to the night. 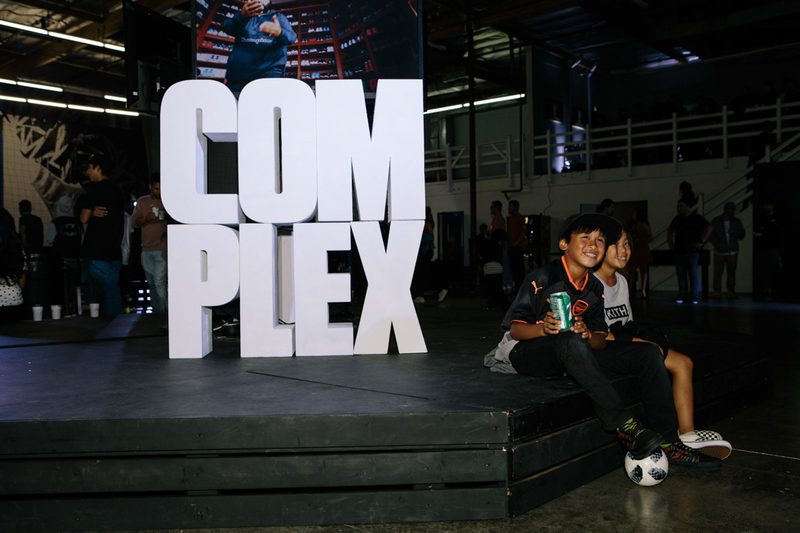 Part 7 brought on global media giant Complex who put up a station of screens that showcased the best of the culture they both report on and contribute to, from music video highlights to snippets from their own in-house produced series, and then some. 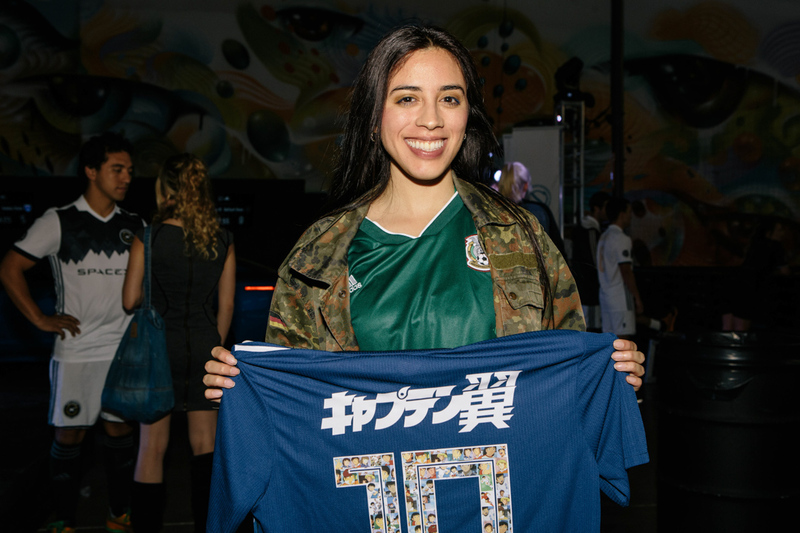 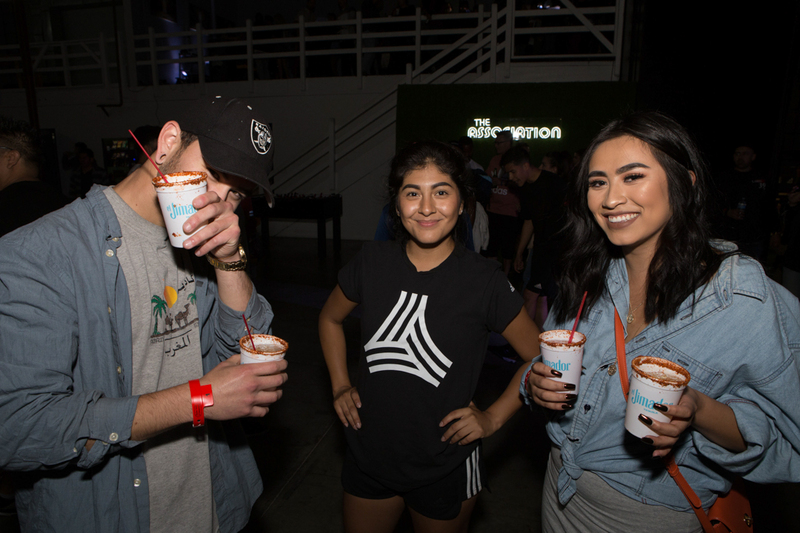 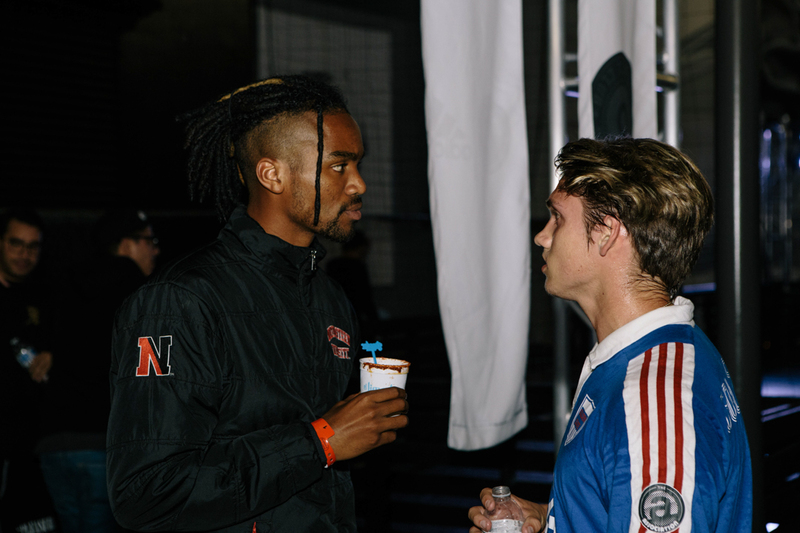 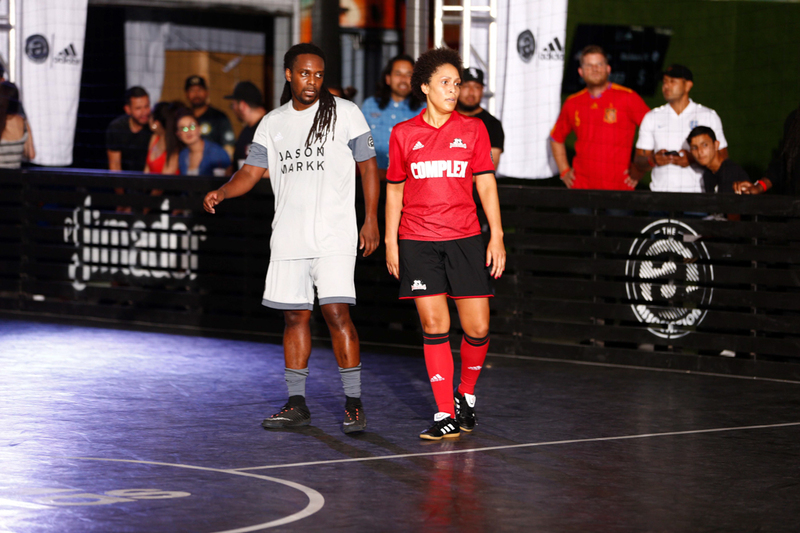 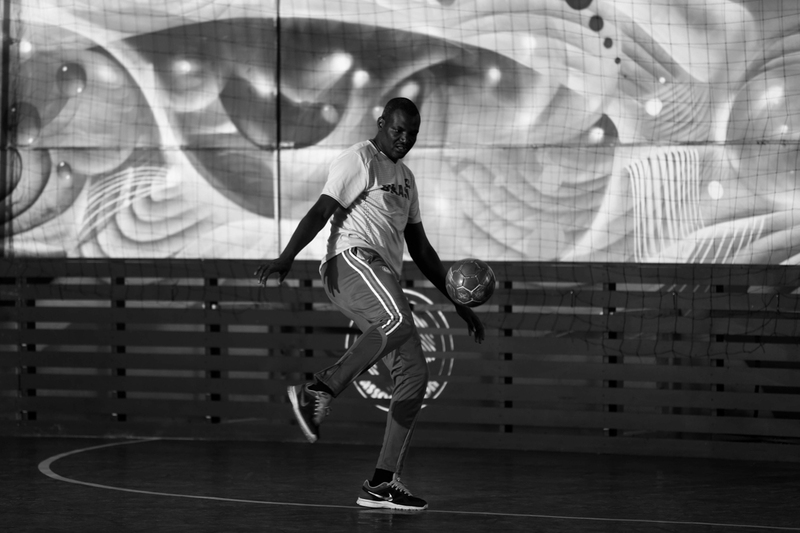 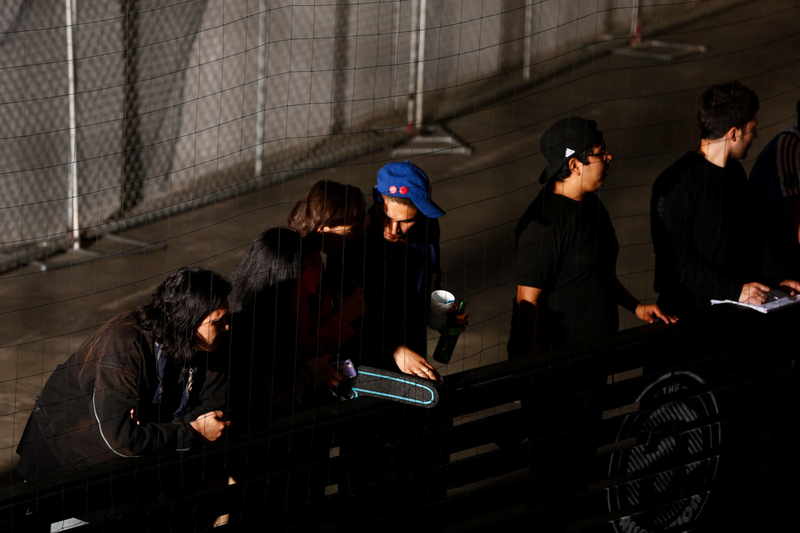 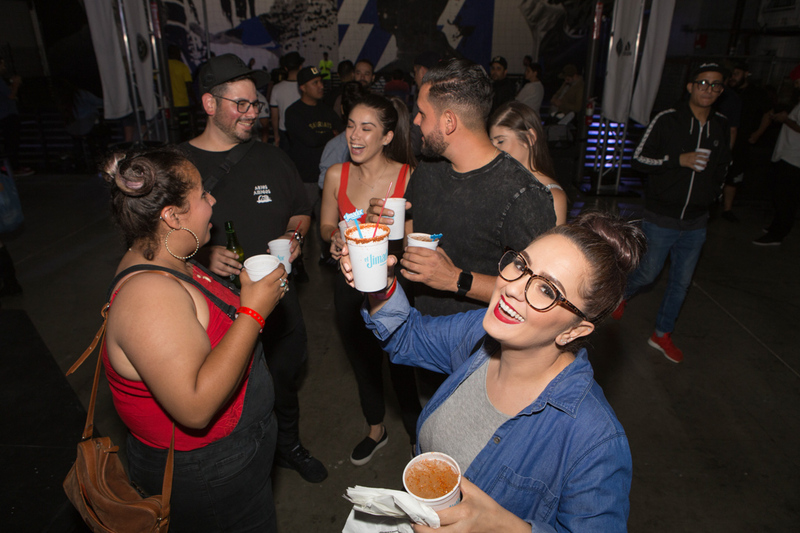 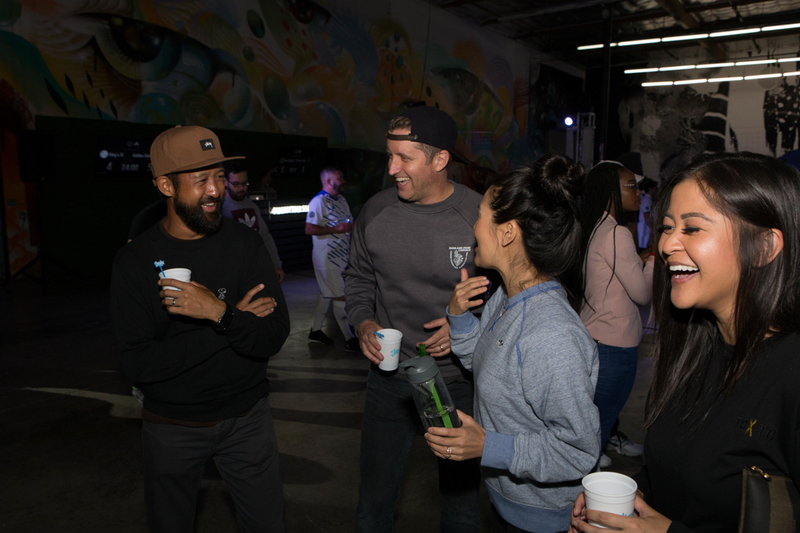 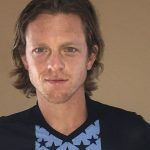 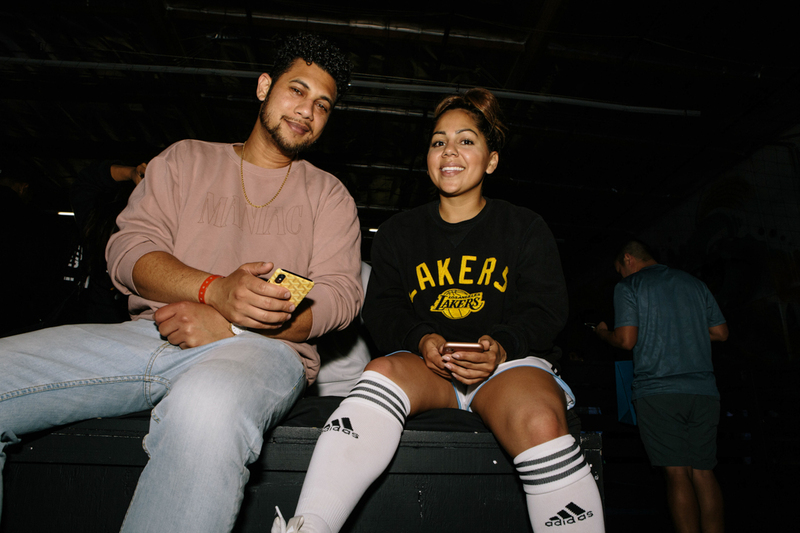 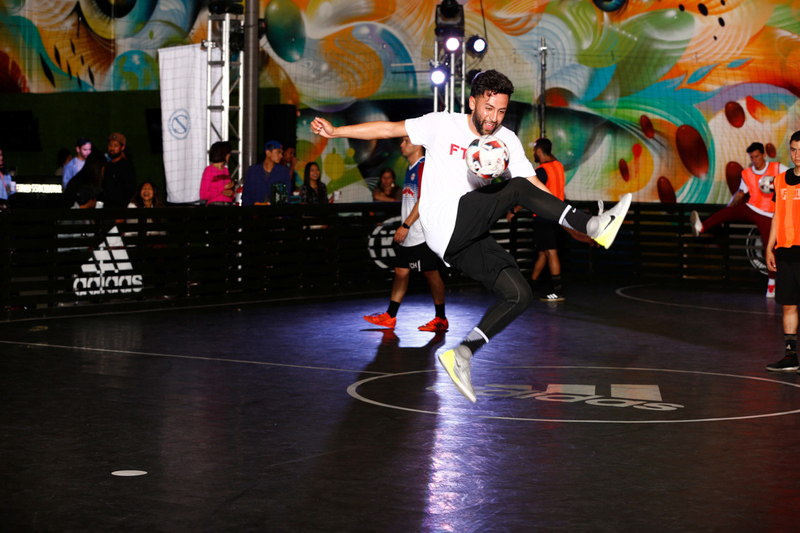 The turn out was a mix of soccer enthusiasts, streetwear and lifestyle influencers, musicians, professional soccer players, family, friends and more. 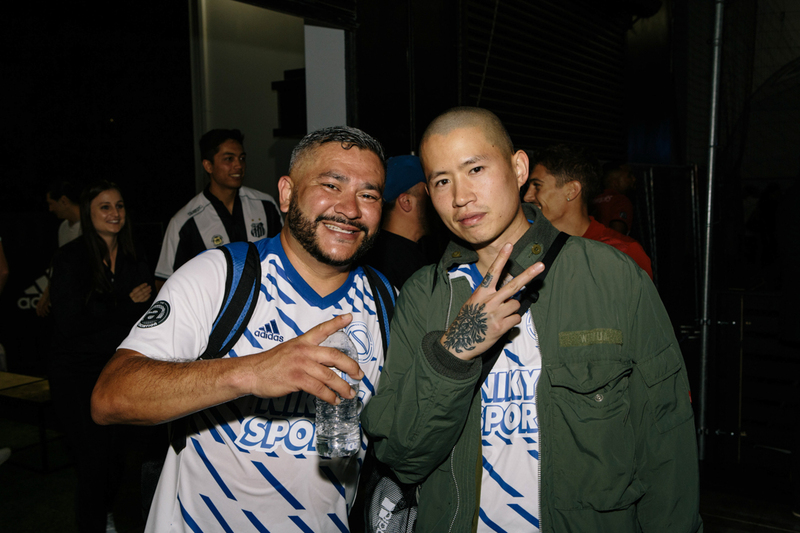 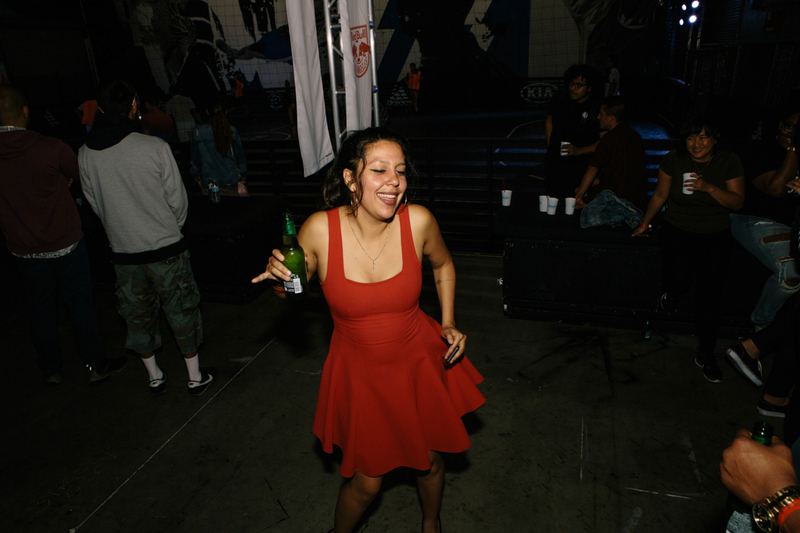 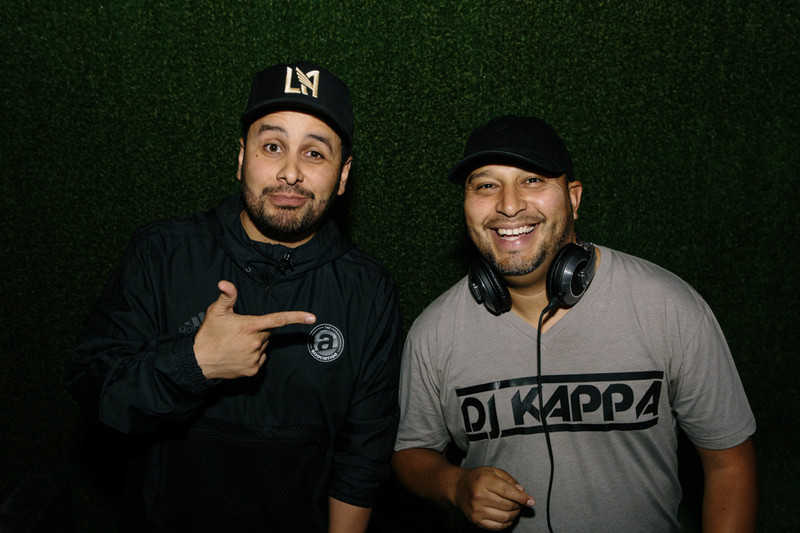 As always, we have Willy T and his team to thank for our official visual recap of the night, along with DJ Kappa for holding us down on the music end of things throughout the night, and our host Mondo Fresko for guiding us through the live soccer games. 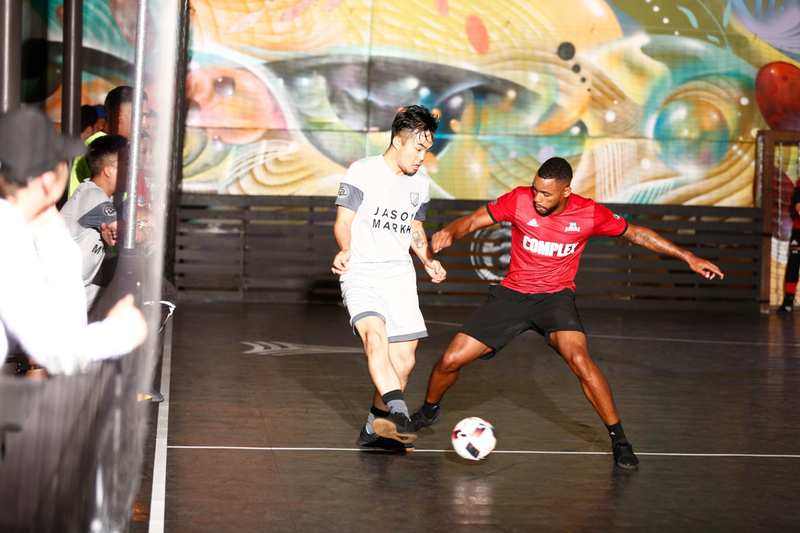 Check out the video and photos throughout, and remember that next week’s The Association night is off to give y’all some space to watch football’s most anticipated event – the World Cup 2018 – and we’ll resume with Part 8 on June 21.